Elizabeth was the daughter of Anna Eliza Stickle and Lewis Harrop. 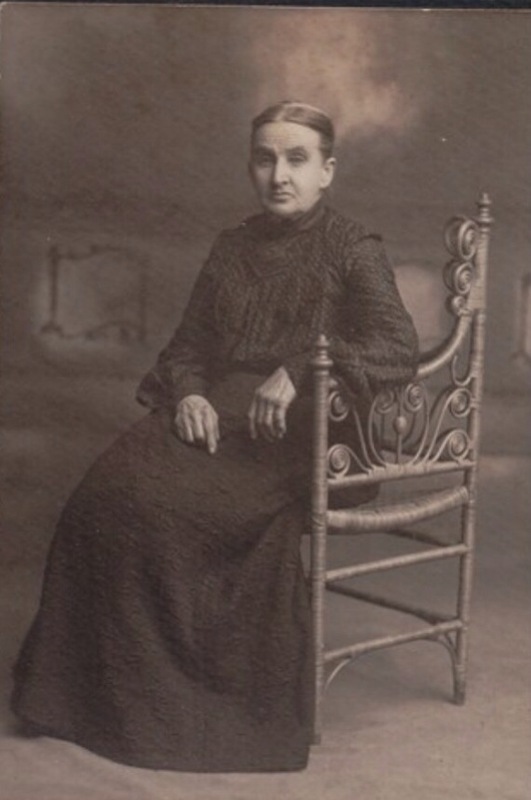 She was born on February 20th, 1840 in New York, later moving with her parents to Islington, York Co., Ontario and then to Orangeville, Ontario. She married William Young in 1877 in England, the son of Robert and Mary Young. His first wife Isabella had died, leaving William with 4 young children. 1) Isabella b. 1866 in England married John Henry Bradshaw in Orangeville, Ontario in 1887. 3) Robert Young b. 1871 said to have died as a young man. 4) Mary A. Young b. 1875 married Herbert Winnett in 1905 in Vancouver. Mary died in 1954 in Oakville, Ontario. 2) William Lewis b. 1882 m. Elizabeth Mays and lived in Edmonton, AB. 3) Sarah Jane b. 1887 m. Wesley Spafford and lived in B.C. The 1881 census for Orangeville, Ontario shows the Young family along with Elizabeth’s mother Anna living in the same house. William Young’s death in 1888 left his wife with seven children. Death Robbed Orangeville of one of its most respected citizens last week in the person of Mr. Wm. Young, gardner, who passed away at his residence on Bythia street on Friday after a brief illness. Deceased was 44 years of age and leaves a widow and seven children. The funeral took place to the town cemetery on Sunday, and was largely attended. I have often wondered what Elizabeth did to support herself and her children, the 1891 census does not list Elizabeth as having an occupation. 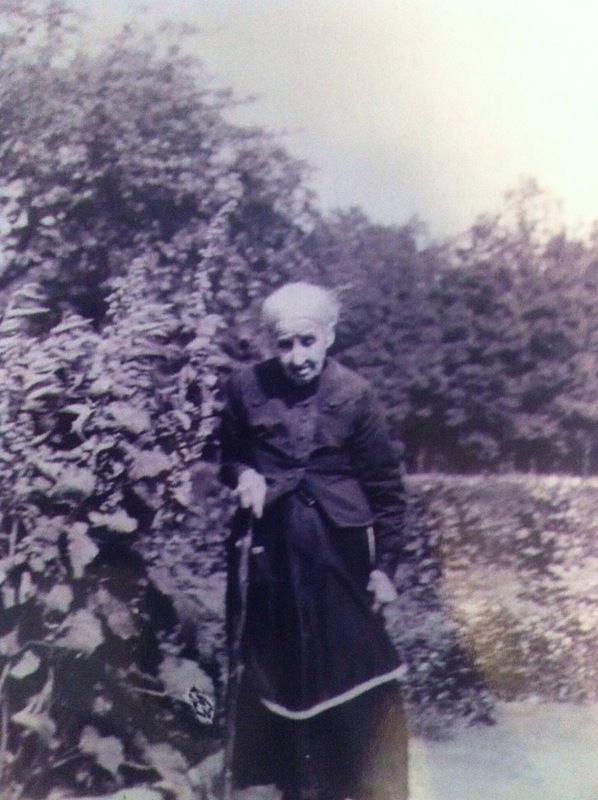 In the 1901 census she is listed as 61 and a gardener, maybe there was a family business – something to investigate! Elizabeth buried her mother Anna in 1907, they had never been apart. In 1921 Elizabeth is now living with her daughter Elizabeth (Young) Redmond. she had married Michael Redmond. Their home in Weston, Ontario would have been full, with three adults and six children. Elizabeth Young passed away on September 4, 1907 at the age of 80 years. She is buried in Riverside Cemetery.